SSA offers a range of opportunities for students to learn about social welfare policy and practice internationally: in the classroom, certificate programs, programs of study, seminars and workshop presentations, and through experiential learning opportunities abroad. SSA’s orientation to international social work is designed to provide students with the opportunity to think about social problems, social policy, and social work practice in a comparative cross-national perspective. Courses are integrated into the broader curriculum, providing all students with an opportunity to incorporate some international perspectives into their work locally. For students with an interest in working abroad or with immigrant and refugee populations at home, the Program of Study and Certificate Programs provide an opportunity to dig deeper and establish a foundation of knowledge and skills to pursue these interests. The Objective of The Certificate in Global Social Development Practice (GSDP) is to identify, recruit, and train well qualified candidates who are committed to assume leadership in the development and provision of policies, programs, and practices that address problems in the international social development arena. These include careers in international, national, state, and local social welfare and human service agencies and social development organizations; government; international policy, research, and advocacy organizations; and firms and non-profit organizations that engage in global social development initiatives. Applications for the GSDP Certificate Program will be considered on an ongoing basis with priority consideration given to earlier applicants. SSA also offers the Global Social Development Practice Program of Study as an elective sequence for master's students interested in understanding social welfare challenges of a globalizing world. This program provides students with the opportunity to think about social problems, social policy, and social work practice in a comparative cross-national perspective, grounded in scholarship and practice around a set of concrete issues, including work with people affected by global processes (e.g., refugees, immigrants, victims of trauma or disaster or human rights violations), the role of state welfare policies and non-governmental organizations, approaches to community economic and social development, and political organizing and social movements within and across borders. The global burden of disease poses a significant barrier to the well-being of people around the world. Students today are interested in addressing issues that cross national borders, including global health. 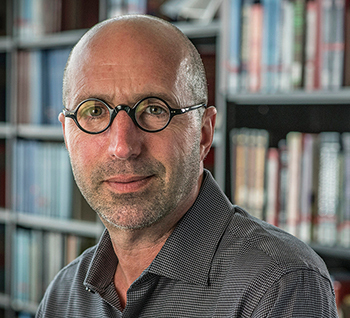 To address this need, SSA's Graduate Program in Health Administration and Policy (GPHAP), the Center for Global Health, and the Pritzker School of Medicine (PSOM) have collaborated to develop the Global Health Certificate Program. This program addresses issues in global health from the perspective of a variety of disciplines, including biomedicine, business, law, economics, public policy, social work and socio-cultural studies. Please contact Laura Botwinick, Director of GPHAP, with any questions about the Global Health Certificate Program. To search the SSA course catalog, click here and choose the keywords 'global' or 'international' from the drop-down menu. Additional courses are available at other units of the University including the Pozen Family Center for Human Rights, The Harris School of Public Policy Studies, The Pritzker School of Medicine, The Law School, and The Booth School of Business. Check individual school schedules for courses and times. International scholars with expertise from a variety of international perspectives are invited to speak at SSA throughout the academic year. These scholars are in addition to the numerous speakers that are invited to University and to other units. To view the entire calendar of University events, click here. 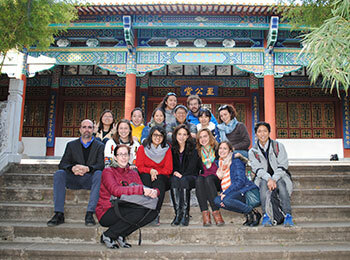 SSA offers two intensive, multi-week study-abroad programs. The first is focused on urban poverty and community practice in India in collaboration with the Tata Institute of the Social Sciences Centre for Community Organization and Development Practice in Mumbai. The second program is focused on urbanization, migration, and poverty and is in collaboration with the Hong Kong Polytechnic University’s Department of Applied Social Sciences in Hong Kong and Peking University's Department of Sociology. Applications for both programs are accepted in the spring quarter. For more information, please contact Cristina Gros, Assistant Director, International Programming at 773.702.7107. 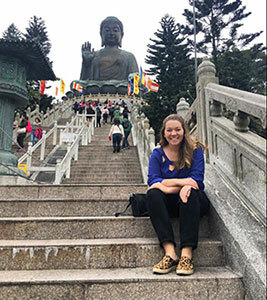 "Students are exposed to a wide variety of academic and professional opportunities at SSA and these diverse experiences and world views help to inform decisions about our personal and career trajectories."